Let's be honest, we would all loave a video card powered by an NVIDIA GTX 690 or even a GTX 670 or GTX 680. But who has $400 - $1000 to spend on a GPU every year? That's why many of us have been waiting for something more reasonably priced. 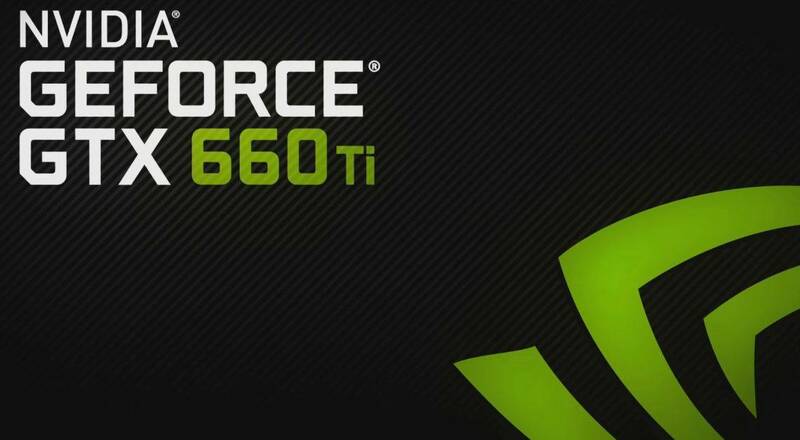 Today NVIDIA has answered the call with the launch of their GTX 660 Ti. It's got the heart and soul of the flagship NVIDIA Kepler GPU but along with a dramatic price drop. The new Kepler based GPU is suppose to be an impressive cost effective GPU offering true 1080p gaming with the capability to even run 3D at decent frame rates. Unlike the GTX 680, 670 and 690 launch, NVIDIA partners have really stepped up and very few, if any GPUs, are hitting the shelves with stock clocks. To represent the first batch of "sweet spot" GPUs, we've invited EVGA, GIGABYTE, and MSI for a look at their efforts to win you over in the sweet spot GPU segment. Let's see if the NVIDIA GTX 660 Ti is worth the upgrade! First, lets get the Kepler GPU differences out of the way. 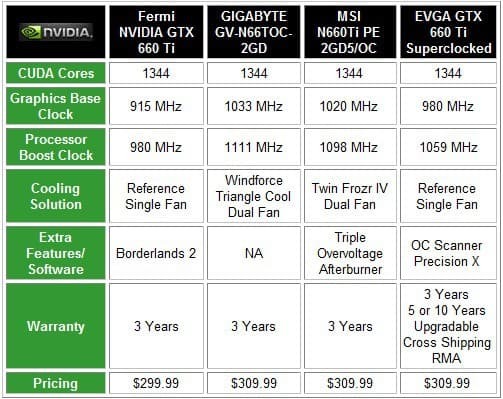 Keep in mind these are reference frequencies and that partner cards often sport better specs depending on the model. 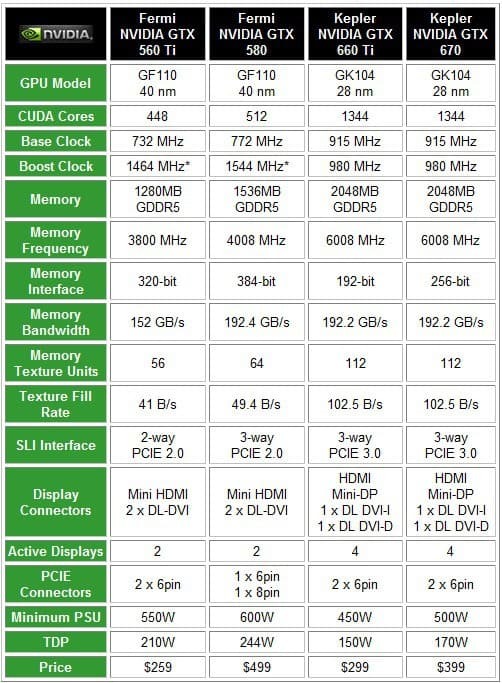 The new GTX 660 Ti GPU requires less power at idle and has the same GPU boost capability as their higher end brethren. We've gathered up the GPUs we've still got in the lab for a closer look. The GTX 660 Ti is very similar to the GTX 670 in terms of clock speed, but do differ when it comes to memory interface, memory texture units, and texture fill rate. The lower 192-bit rate really affects computation and polygon rendering which means lower frame rates are more noticeable when using higher settings and resolutions. But because GTX 660 Ti is tuned for 1080p, as long as you don't go beyond, you'll get the best possible experience. The new GTX 660 Ti Kepler GPU support the latest 3D Vision, 3D Vision Surround, CUDA, DirectX 11, PhysX, SLI, TXAA, Adaptive VSync, GPU Boost, and FXAA as well. When it comes to eye candy, TXAA (temporal anti-aliasing) and FXAA (fast approximate anti-aliasing) smooth out detailed edges without using nearly as much video memory as MSAA (multi-sampling). One design benefit I believe over looked is that even though Kepler's FXAA and TXAA features need less memory, NVIDIA still chose to increase memory capacity. Some cards even offer up to 3GB video memory. This means more memory for greater detail settings and larger textures. 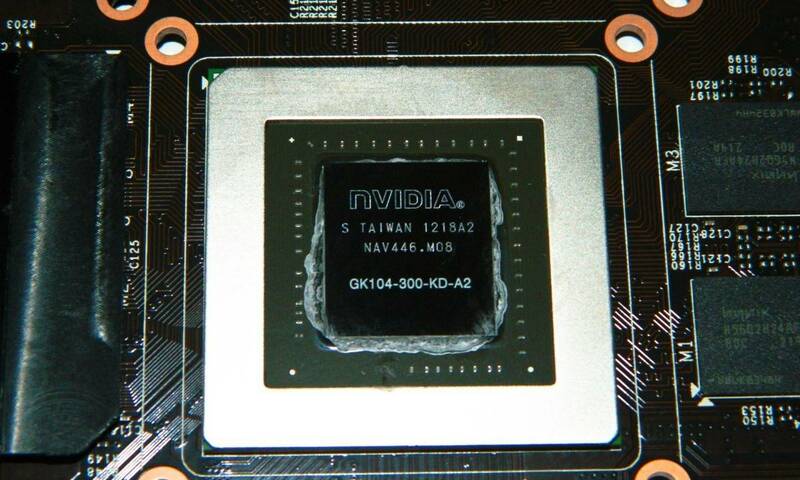 As usual, all the vendors are launching stock and factory overclocked GTX 660 Ti video cards. 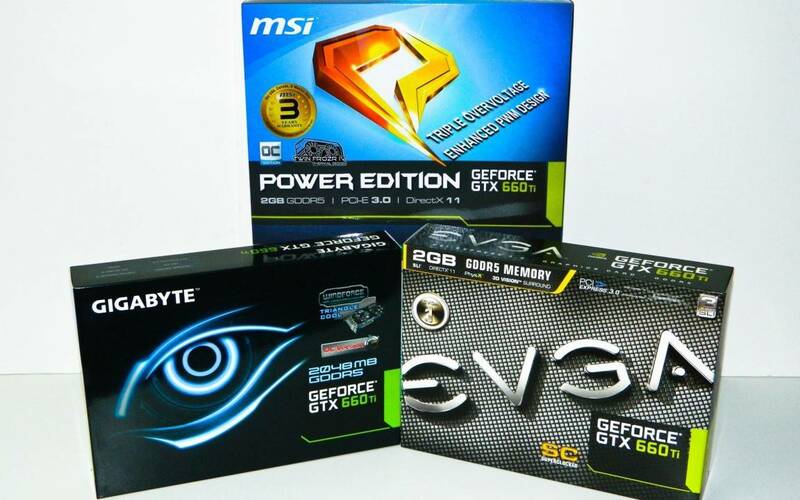 Each card offers increased GPU core and boost clock frequencies. Remember, the boost clock in Kepler automatically overclocks the GPU when the task demands it. It's kind of like Intel Turbo Boost technology for CPUs, but on the GPU side. Pro overclockers aren't big fans of this feature, but most gamers will appreciate the extra frames per second that comes with just a quick frequency boost. This helps smooth out frame rates in most games. The three GTX 660 Ti cards we have here include the EVGA GTX 660 Ti Superclocked, GIGABYTE GV-N66TOC-2GD, and MSI N660Ti PE 2GD5 OC. From the table you can see each cards' frequency differences. In terms of memory and potential overclock headroom, all the cards use Hynix DDR5 memory ICs. Now let's go up close and check out each of these cards in detail including the cooling solutions, cosmetics and value added bundles.